Have you noticed that more and more people uses the Internet for emails, online banking, online shopping, chats, Paypal and other online activities that it become our companion in our daily lives? I guess many of you can relate to me when I say that the first thing that I open is my mail every time I open the net. Aside from that, sometimes you feel disconnected from the world when there are days you can’t use the net. That is how it envelops our lives. There are also more people taking computer or IT courses nowadays because of the demand of works in this field. If only I can turn back the times, then I would have chosen to go this career path instead of the medical field bec. I know I have many options and opportunities. IT job search are also available online where most people search for jobs too. Wow I came to realize that students especially in the public ones will go back to school next week June 4 while the private ones or college will start June 10. I am sure parents and students have already bought their school things and have wrapped them in plastics. I remember when I was still studying, I am always excited to buy my notebooks in the bookstore and wrap it and put my name. Again parents will have a hard time what school snack or baon they will give to their kids (esp. those that have elementary students). Kids can become picky and easily get bored with their sandwiches or juice and parents would be in twirl on what to offer them. I suggest to have a menu for the week so that you will have better ideas. and she’ll add your blogs to the master’s list here! Yup, another linking thingy but this one has 15 questions and you get to enjoy answering them too! Hmmmm.. i'm feeling lucky..Just happened to exchange the last AUS$ that I have in my pocket the other day at the money changer and I was quite surprised when the teller told me that AU$- Php is P42.40/AU$. I didn't expect that bec. I saw on TV that it was only P41.80, and of course I was so happy bec it was high since the last i exchanged. It was good for people that receive money $ from abroad and we always wish this will go even higher. On the other side, this is not good for our economy, just recently there is already fare hike from Php 7.50 to P8 and the rising products and good in the market are hitting the ceiling when ordinary people can afford any more. I just hope good things will come to all of us. I have been blogging for over 3 years now and I have met lots of online friends here in our country and from other countries. It’s always nice to interact with them even for a while leaving notes or little tags on their blogs. This has been a wonderful experience for me bec. not only I can share a piece of myself, my thoughts, great finds, ideas or rants but I have the opportunity to mingle or exchange ideas with different bloggers with different cultures and beliefs. I was also able to get some profits out of my blog by reviewing products or services which I reckon is cool thing to do as long as I am true to what I am saying then I don’t see getting paid for a review as a bad thing to do as a blogger. There are many bloggers out there that don’t agree with this but they do have a point bec. some bloggers just in for the moolah (and why not????) every one wants to have some piece of cake. Anyway, with my desire to expound myself being a blogger, I have been reading lots about and I thought there’s nothing wrong joining them and see what they have to offer. I createdprofile which I will edit and put more info there in a while and I hope to meet lots of bloggers from all over the world. I have not browsed the site very much as it was too overwhelming for me at this point but all I know was bloggers and advertisers can meet in this one whole community and I believe we can benefit from this. 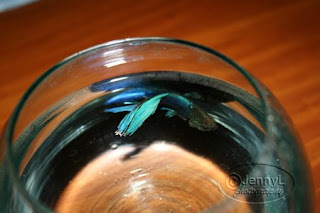 I also learned that my coblogger Jenr was in there and saw her profile, I just salute this woman bec. 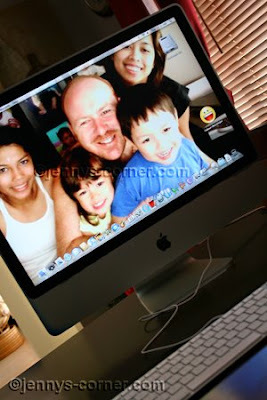 she’s a full time mom and wife but still manages to balance them with blogging and other activities online. Gotta go now to browse and learn more about the site. I finally got my EON Card this morning at Union Bank, Greenhills branch after a month of applying online. Actually eon card will be ready after only 5 working days but I am just so lazy to go out and get it there. Anyway the teller asks me to pay P350.00 and I thought that is already the deposit that I needed for paypal purposes but little did I know that is only for the yearly payment of of my card. I am just so angry at myself when I read at Cherry Rose’s tutorial that I still have to deposit around P200-or 300 because I FORGOT to make a deposit !!!!! Gaga ko talaga, I kept on reminding my bes RACE not to forget to make a deposit but in the end I am the one who forgot. Ngek..
Now I need to return at Union Bank to make a deposit or my besfriend RACE will do it for me since there is a Union Bank branch near her office. Ahhhhhh, this is one lesson for me..
It’s already over a month since I came back from my vacation in OZ land and I can’t help but to miss my days while I was there. How can I forget all the days when we spent holidays on a beach, an island and even at the Great Barrier Reef? Not all Aussies have the chance to go there so I am pretty lucky to have been there particularly at the Reef. And who can’t miss our shopping spree, I think we go at the malls quiet a lot and we did get some great deals esp. when they had the out of season sale. There are many things that I miss over there esp. my sis and her family. Just hoping I can go back there again in the future. Aren't these shoes the cutest ever? Hehe. I saw them hanging at my niece's room as a decor and I found it real cute so I grabbed my cam and thought this is perfect for this week's theme at Photohunters. My niece Bianca was suppose to wear that and the baby dress at her Christening that was given by her godparent. Mojo where are you?? I really really want to digi-scrap bec. i have about over 2,000 photos from my recent trip that is waiting to be scrapped. I don't know there's no inspiration coming in my head and my scrapping mood is somewhat totally gone. I went gallery shoppin yesterday and saw beautiful layouts, i want to do something but poooop nothing is coming. I purchased 1 sale kit yesterday and I hope this will start the spark in the coming days. Keeping my fingers crossed! Yay.. It’s raining mostly everyday now and I guess that is a sign that rainy days are finally here in our country. 2 recent typhoons have already wreaked havocs on some of our provinces living many homeless and properties damage. Poor thing! Anyway, it’s a bit cool each morning and that makes me sleep more or even if I woke up early I am just so lazy standing up, blame it on the weather hehe. Rainy days are also a nice time to curl up on the lounge and watch movies on your plasma TV. It is also the perfect time to sip your coffee, put you feet on your plasma tv mount and just laze around while the rain is pouring outside. Ahhh .. isn’t that heaven? We went to Kiama, NSW Australia last March to see their famous BLOW HOLE, one of the tourist attractions of that town. The water coming out is the result of pressure of the waves and when it came out you'll hear a loud sound and see the massive spray of water. I was lucky enough to capture on time the water coming out, bec. I really did wait. Join us at Litratong Pinoy. You can view my other entry at my OTHER BLOG. With my desire to have do an exercise and keep my blood running all throughout my body, my niece and I have been playing badminton since yesterday morning. This morning after the rained stopped, I was able to play with my niece and bro for 2 hours and holy cow my sweat is drippin' like a faucet and now I have an aching body hahaha. My right arm is aching as well as my muscles in the legs, I have a hard time sitting down ..haha... nope it;s not a rheumatism like what my sis JOY told me hahaha. For sure I will play again tomorrow morning and hope it will not rain. I have been meaning to do some exercise in the mornings because I can see that i have a very sedentary lifestyle nowadays. I have been putting off my jogging or walking exercise for quite sometime now but finally I was able to do some exercise this morning. I woke up around 7am this morning and it was not raining anymore so it's a perfect day to play badminton in front of our house. I woke up my niece and after breakfast we went outside and started to play. 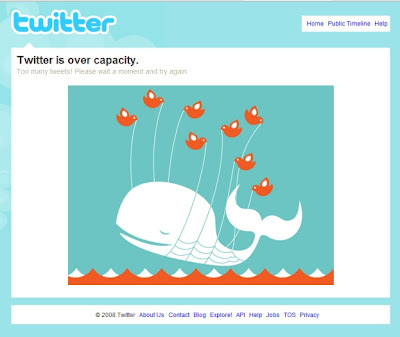 Wow, after only 15 mins. I started to sweat and get hot and I know this is good for my body. We played for about an hour and I hope we can play again tomorrow morning or every morning for my exercise. What about you, what do you do to keep you fit and alive?? This is my entry for this week's theme at Photohunters. I can't find any hard candy on my photo collections so i guess this Toblerone chocolate candy will do. Have you noticed that it is already melting? Ahh because it was so hot here last April with temperatures ranging from 30-35C.. ahhh so hot, no wonder why these chocs are melting not in my mouth lol. Happy Weekend everyone and Happy Hunting!!! Summer is always anticipated by many as it is the best time to travel and have a break. Sipping piña colada under the coconut tree, letting your hair down, lazing around and walking on a sandy white beach… ahhh what a great thing to do isn’t it? My summer vacation at the Land Down Under last Jan-April ’08 has been a blast and I hope there will be a next time. It’s already mid autumn now there so Aussies are feeling the cold. And for those country where summer is just coming, I bet many of you have already been preparing or thinking where to you intend to spend it with your family. 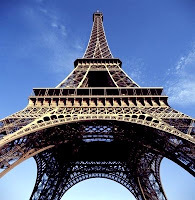 There are lots of information like travel destinations, travel guides and tips on the net that anyone can consider. Just plan carefully and choose the place where you most want to go. Bahamas? Paris? Mexico? Boracay in the Phils? or what about in the Caribbean? Every place is perfect to go to as long as you relax and let go. It was always during December that we are having a garage sale but since my sister from Riyadh came home, she decided that we open again. We have lots of old (clothes etc) and new stuff (like rubber shoes) to sell so we hope we can have a good sale till next week. We already have quite few sales since this morning. We are already bargaining the stuff here at low low prices that is why our neighbors are flocking at the moment. Blame it on my hormones for doing this to me every month!! Gosh I need to throw this eyeglass of mine bec. it is not helping.. Argghhh.. This is a miserable day for me. Boy, oh boy, why do we need to suffer this monthly? awwww Sorry for venting out here, i just feel i have to let it out.. Ouch ..ouch ouch... Watch out I'm cranky !! My niece went shopping with me last weekend and she was also scheduled to buy herself shoes since opening of classes will be soon already. She just came home from Riyadh and she’ll be studying college here now. We went to the shoe section at Robinsons and there she saw lots of shoes to buy. There are lots of nice styles to choose from but he was kinda pick and wanted to buy so many different styles like flat/ballet shoes, skate shoes, wedge shoes and even snickers. I told her just to pick what she wants and we’ll just come back next time. She end up buying one cute flat shoes and to think it was also on sale, while me end up buying nothing.. bleh.. Although I can talk to my sis JOY on YM every now and then and can see her updates on her blog, I can't help but to miss her and family back in Sydney. ~ I miss our bonding time together blogging and shopping and/or just plain talking about chismis hehe. ~ I miss Braiden's cheeky smiles and wished I was there to see his developments. ~ Ahhh that little Bianca is such a chatter box, i remember she used to help me hang and fold clothes eventhough she doesn't know how. I miss you missy moo!! ~ Hmmm and Micah, eventhough we argue sometimes, I miss her too of course. I wish she'll remember all what I have told her. She's only 13 and soon she'll be a lady. ~ Ahhh and my bro inlaw Joe, such a cool, sweet and very generous guy. He may look too serious at times but when he cracks a joke, I'm laughing my head off. I wish I was still with them and doing things that I don't normally do here back home. Our endless vacation is surely missed by me esp. the days where we spent a week vacation off at Hamilton Island. I had a blast !! See you guys next year in Pinas !!! We already know that moving from one house/office or country to another is such a stressful thing to do. The packing takes time and the unpacking is doubly harder. I know if my sis Joy will move soon, its one big task for them to do it. But don’t you know that there are now companies who help people who are moving from one town to another and even fro one country to another? Yes, you read it right so if you are moving to New York, you can check out mover NYC and see their moving services. Just a reminder, don’t panic just call the experts, ok! Since I don't have the mojo and the inspiration to make digital scrapbooking layouts yet, I am just hoarding and downloading stuff that are free to download over at designer's blogs. 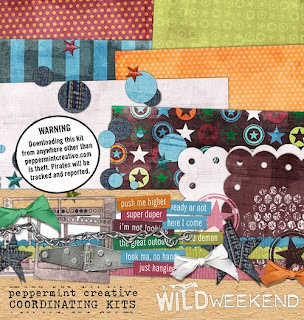 My latest download is this Wild Weekend kit by Miss Mint . Hopefully if my desire to make some layouts again, I already have new stuff to use. I also went browsing at some digi stores, there are actually lots of pretty kits available but I don't want to purchase any at this moment. I am just contented on downloading freebies. i hope i will not runout of harddrive or else i will buy an external one. yay another expenses.! This morning I was having a hard time choosing what shirt to wear and I was literally fitting almost all of them from the closet. Nothing seems to fit me right ever since I have gained some extra flab on my waist after my overseas holidays. I’ve been planning to do jogging around the neighborhood but I lack energy and enthusiasm to do it. My sedentary lifestyle is also killing me and I will hate to see one day that I’ll ever need Curvelle to tone me down. I end up giving about 10 shirts to my niece who is much leaner than me. Although my waist is not really that bad, some friends suggested that sit ups and not sitting right after meal will do the trick. I just need some self control and I’ll be fine I guess. My distant aunt came to visit us the other day and we had a good chat over different matters esp. 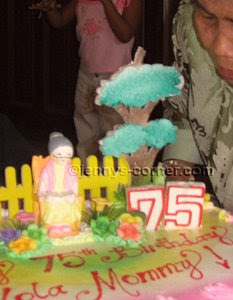 health concerns about her and her husband who is going to have a kidney surgery this coming days. They already spent a lot of money and we reckon that it’s the only way he can recover from that ailment. She however still suffers from her asthma attacks esp. during hot and humid days. Also dusty places can even trigger that, I am not so sure if she wants to consider having one of those air cleaners that others are using in their houses. Ahh it’s hard being sick nowadays esp. if you don’t have money to finance it. My nephew also recovered from a dengue fever last January and he almost lost his life. He was already bleeding inside when they diagnosed it and we are so thankful that he recuperated from it. My niece Reign celebrated her 5th b-day last May 2 and she always wanted to have a pink princess cake with lots of flowers. She got what she wants and there she was delighted to see her candles burning. 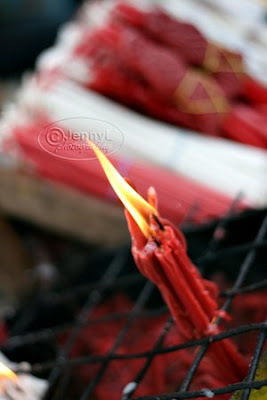 This is just one of the candles burning when we went to ANTIPOLO church last Sunday. They are also celebrating May Time Festival so it's a good time to visit the place. I have a different entry at my other blog. Summer here in the Phils. is almost over as the start of the new school year 2008 will unfold in the first week of June. Summer has been so hot and humid but that doesn’t stop people esp. the kids from having fun and enjoy their vacation. Beach and other resorts are always on the top of any vacationer’s list bec. there are lots of fun activities that you can do there. My niece and I went to Galleria last weekend and we passed by a small stall that caught our attention. There are few people eating and they seem to be enjoying what they have. We got curious about what the stall offers so we had a look. It was no ordinary crepe bec. you can have different stuff inside of it. You can choose from combination of mango, vanilla ice cream, strawberry, nutella with banana and more. Price range from Php 80-Php 120 +. This is a delicious snack and I can recommend, have you tried one? Here is what we got ripe mangoes with mango sauce, vanilla ice cream and it was so yummy. You can also upgrade if you want more stuff inside. I just remember the big earthquake that we have here in the 90’s where buildings collapsed and many people buried under the rubbish. Rescue workers worked overtime just to get them out and help them, it would not be possible if they are not using power apparatus like chain saws, drills and more of DeWalt tools, Makita or even Bosch brands. International rescuers and volunteers also came just to help us out in the situation. Right now, China was hit by a big earthquake killing nearly 10,000 people while Myanmar suffers bec. of the big typhoon. This is deeply saddening bec. many lives and livelihood have perished and I hope many rescue workers will help them in saving other lives. We never can tell when will Mother Nature will unleash its fury so we should always be prepared. My sister JoyD and my bestfriend Race, asked me to make new headers for their blogs. And since i know how to make one and I have some digital stuff from my collection, I was able to make them new headers that they liked. At first I had a hard time thinking what design to put and what layout since I don't know what theme they want. Sis Joy just wanted a cute header so I put some cute elements on it and she liked it anyway; Here are the headers that I made for her 2 blogs. Just click the header to go to their blogs. I also tweaked few layouts for my bestfriend RACE and this is what I made for her. When it comes to shopping, women are always have the authority in this field and I guess men would agree on this one. Women have the eye for bargains and would really go from one shop or mall to find the lowest prices and deals while men tend to buy from the 1st store they went into even if it is priced higher than other store. Men just don’t have the patience walking, sorting out and scrutinizing a product. One more asset of women is the ability to haggle for the price. Shopping at the malls or even shopping online makes no difference to us, we both love them. Online shopping has even a greater advantage as we can shop in the comforts of our homes or office. There are site that we can always shop and get value for our money like shopping for home improvement tools, electronic gadgets and more. I just happened to browse around shopwiki.com this afternoon and I of course immediately looked into their women’s clothing section and there were many products to choose from. Their jewelry and watch sections are also not to be missed. Not only was it easy to browse in their gallery, searching for a particular product that you are looking for was easy by using their product search and now I can’t stop browsing. I applied my postal ID last Friday and told me to come back today. After waiting for almost an hour finally i got it. Waiting is really annoying and i thought that the ones that will type the info in my card is away that is why we are waiting. It turns out that she was there in the room and when I am about to give up waiting luckily I was called. Gosh government facilities here are really slow and some are corrupt. So annoying!! After their 1 week vacation in Ilocos and Vigan my nephews and nieces are constantly looking for ways to entertain and pre-occupy themselves. After playing outside in the yard today playing basketball, their energies are not yet over bec. they still want to play games at their PS 2 gaming device. My bro bought another game the other day and they were so excited to finally play on it. And can you believe this? They still have time to play games on the pc, and sometimes I already scold them for doing such. Ahhhh kids... they have so much energies to do many things. Oh well, I know when summer is over and when they are back in school this June, they will not be permitted by their parents anymore to play games everyday. I reckon they are just enjoying themselves while they are at break. Before I can get my EON card at Union bank next week i need to have 3 IDs to present them. I already have a passport and SSS ID so i need another one. So I went to post office this morning to get a postal ID. I signed up the application form and I read that it only costs P175.00. When I gave the form and I handed P200, the lady told me that it was P285... what???? I didn't utter a word and didn't even bothered to asked why? I gave 300 and she has no change for me so I will get the P15 next week but she noted it on my form. While vacationing at my sister Joy's house in Sydney, I had the chance to watch quite a lot of good reality shows that are not shown back here in Pinas. Some of them ate Chopping Block, Hell's Kitchen, Kitchen Nightmares and F Word, etc. But my most favorite is that of Gordon Ramsey's show Kitchen Nightmares, where critics food, in house chef and how the owner manages their business. 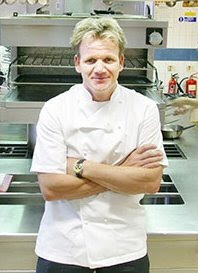 Gordon is a world class British chef who runs fine dining restaurants in the UK and US and is well known esp. to those that love cooking and aspiring chefs. He maybe too rough and quite intimidating by the way he speaks and acts, (he swears a lot mind you !!) but he is good at what he is doing and teaching. He is funny at times too. I miss watching him and I wish his shows will be aired here also in the Phils. bec. I'll be the 1st one to tune in and watch it.! Have you watched any of his shows? Oh my, oh my this summer heat is surely making me sweat and thirsty. I should be drinking lots of water to replenish the lost fluids in my body but I can’t resist not to drink Coke instead. Bad I know as it will only bloat me and put not much needed sugar in my body and I am definitely losing my battle to eliminate it from my diet. Aside from softdrinks, I have been eating quite a lot and not doing any exercise and that makes me gain more flab in my waist, which is so unsightly to see. I just hate seeing my bilbil (extra fat on my waist) and to know that I don’t fit on some of my jeans. I will hate to see one day that I will grow bigger and stressing my self how to loose weight and reading those diet pill reviews available online. 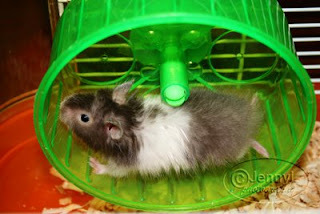 Argghhh, I gotta have discipline or else..yay! Bonding with your family is a wonderful experience and one way of doing so is taking a vacation. There are many affordable cruises or tours nowadays that you can find online and I would always love to tour Europe. Why not? There are many places and things to do there. I have distant relative who is working in Spain for many years now and we can go there if money and time permits. She can accommodate us but if not there are many Hotels in Barcelona that I can always turn into. If Rome and Amsterdam are your chosen places to visit, then there are Hotels in Rome and Hotels Amsterdam that you can afford to stay while you are there. Just don’t forget to take lots of pictures while there, memories are preserved through photos. Many tourists flocked each year in Europe so there’s no doubt that Hotels London accommodation are always fully booked. Booking early will save you from hassle. The theme for this week at Photohunt is TIME. These pictures are taken while I'm on vacation in Sydney early this year and and I had a great-great time spending it with my sis and family. I've been there for 3x already but the Sydney Opera House and the Harbor Bridge never fail to amaze me and other tourists. If you have the chance to travel, never fail to visit this wonderful city and you'll never be disappointed. There are lots of places to go to while you are there and spend some bonding time with your family. Oh BTW, i have a different entry on my other blog, VIEW IT HERE.